Raining Pleasure (Greece) see: Samples etc. Rainmaker (US) see: Samples etc. Raising Holy Sparks (Ireland) see: Samples etc. 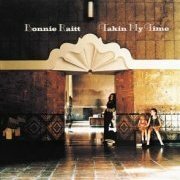 Bonnie Raitt's third album, Takin' My Time, is less bluesy than I'd expected, with elements of funk, soul, rock'n'roll... You name it, really. And, of course, some blues. 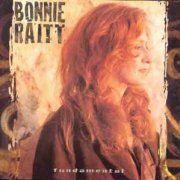 She's got a great voice, and is a talented guitarist to boot (listen to her acoustic slide work on Write Me A Few Of Your Lines/Kokomo Blues), although I'll be honest and say the album didn't really grab me. That's no excuse for giving it a bad review, though, so I haven't; if you like the various musics mentioned above, you stand a good chance of liking this album. Mellotron? Some orchestrally-arranged strings on the balladic I Gave My Love A Candle from John Hall, though it's halfway through the song before they stop sounding like a string section, which seems to be slightly missing the point, which makes for a rather generous one 'T'. After heading down into the depths in the mid-'80s, then up into the stratosphere with 1989's glossy Nick of Time and its two successors, Raitt made the album she really wanted to make in '98's Fundamental. More down to earth than its predecessors, it has little in common with Takin' My Time, being more straightforward blues, and (to my ears, anyway) better for it. One classic song, in the beautiful Lovers Will, but there's nothing wrong with anything here, although th pseudo-reggae of I'm On Your Side was probably slightly unnecessary. A Mitchell Froom production, he gets the requisite bit of Chamberlin in, with a brass part on closer One Belief Away, although it's not exactly what you'd call essential. So; two good albums, in their different ways, but absolutely no 'Tron/Chamby work of any consequence, to be honest. Buy according to taste. Rake's Progress (US) see: Samples etc. 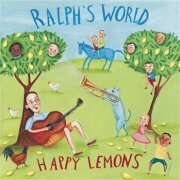 The titular leader of Ralph's World is better known as Ralph Covert, frontman of Chicago's The Bad Examples. His 'other band' is that rarest of things, a children's music project that doesn't patronise, their 2002 release, Happy Lemons, mixing traditional fare (The Muffin Man, What's New Pussycat?) with plenty of self-written material, some in a more 'childlike' style than others. The last two tracks, however, could easily fit onto a typical indie album without raising eyebrows, while even the children's chorus on a few tracks fails to dampen the overall mood. Stylewise, it shifts between garage rock-lite (Belly Button), pop/rock (Things That I Like), lightweight reggae (Clean Up) and an innocent, folky style, perfectly suitable for his target audience. Peter J. Sands plays Chamberlin, with polyphonic flutes and strings on Puddle Of Mud, although the flute part on What's New Pussycat? is real. Do you have young kids? Have you been looking for something to distract them from the endless round of pre-pubescent TV 'talent' show crud? Look no further. And you get one decent Chamby track into the bargain. John Ralston (US) see: Samples etc. Ramatam's chief claim to fame was in having a female lead guitarist, April Lawton, in the early '70s, especially as she was the only female member of the band. Well, it's not common now (sadly), so try to put yourself back in those days of unrestrained sexism to see how unusual this was. Of course, if you didn't know, you wouldn't know, as she was a competent rock guitarist in an era when you could find a competent rock guitarist on every corner, particularly in the States, where rock had more mainstream appeal than it ever managed in the UK. The rest of the band were far from slackers, too, with vocalist/guitarist Mike Pinera from Blues Image and Manna (both Chamberlin users) and none other than Mitch Mitchell on drums, the longest-surviving member of the Experience. 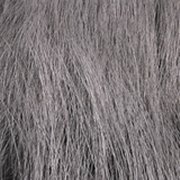 Ramatam is an album of unrestrained heavy rock. Or is it? A couple of ballads are quite normal on this kind of album, but a brass-fuelled soul feel, as on Wayso, isn't, so maybe they were less 'standard' than you might think. It features the most unbelievable lyrics, mind; well, titles like Whiskey Place and Wild Like Wine tell their own story, I think. OK, it was 1972 and lyrical erudition was pretty thin on the ground, certainly in red-blooded rock circles; it's not as if anything's improved, is it? Tommy Sullivan guests on Mellotron on two tracks, with grungy, almost distorted strings on the rocking Ask Brother Ask and cleaner, higher ones on the surprisingly funky Wild Like Wine, but, as with so many others, nothing you can't live without. 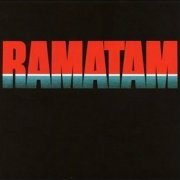 So; unless you're very into third-division early '70s US hard rock, you probably won't be that fussed about Ramatam, although it does have its moments. I've heard a lot worse, but then, I've also heard much better, and if your resources are limited (and whose aren't? ), you may wish to direct your hard-earned somewhere else. I suspect the usual maxim applies: 'pick it up if you see it cheap'. 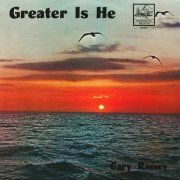 Gary Ramey was (and quite possibly still is) an obscure Christian singer-songwriter who released at least two albums, it seems. Greater is He (undated, but from around 1974) is a typically slushy god-bothering folk-rock effort, frequently (and effortlessly) crossing over into MOR territory. The nearest the album gets to highlights are the decent pickin' guitar solo from Dave Smith on the otherwise horrible, jaunty Christian country effort Best Way To Start The Day and (nearly) affecting six-minute closer Let Your Heart Sing. Just when you think it couldn't get any worse, Ramey seems to have some trouble holding a note on several tracks; particularly bad examples: Peace And Brotherhood and Let Your Heart Sing (presumably on the basis that it can't do a worse job). Painful. Although the only credited keyboard is Carol Stein's piano, Kenny Wallis is credited with 'string arrangements', which may or may not mean that he played the album's Mellotron string parts. Anyway, we get full-on pseudo-orchestral strings to varying degrees on opener You Are His, Peace And Brotherhood, I Will Praise The Lord and Parents, although they do little to improve this mostly awful album. Douglas Colvin, a.k.a. 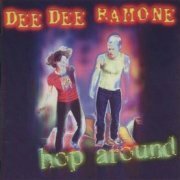 Dee Dee, left The Ramones in 1989, leaving Hop Around as his last solo album of (mostly) original material. And it... sounds like The Ramones. Only less good. Then again, The Ramones ended up sounding like The Ramones, only less good, too, didn't they? There's much reiteration of old triumphs here, but with less panache; 38th And 8th? Is that an iconic NYC street corner? 53rd And 3rd had a particular relevance to Dee Dee's life, but this one? Another attempt to wrest Chinese Rocks back from the long-dead Johnny Thunders and several close cousins to Ramones songs (I Don't Wanna Die In The Basement, Now I Wanna Be Sedated, Rock'n'Roll Vacation In L.A.) all give the no doubt correct impression of a burnt-out drug casualty living on past glories, with a band who just can't get that Ramones sound right, albeit with the occasional exception (I Don't Wanna Die In The Basement, the title track). Dee Dee's vocals are rough as arseholes, with none of Joey's superb Queens diction, and he only yells "Wun-Too-Chee-Faw!" once, but this is still recognisably Ramones-related, which is worth a couple of stars in itself. So, er, Mellotron on a Ramones-related album? Yup, played by über-session dude Chris Spedding, with a weirdly out-of-place but quite upfront strings part on Mental Patient and what sounds like a high cello line on the oddly-titled I Wanna You and repeating flute melodies on Hurtin' Kind and closer I'm Horrible, with the former sounding like Manfred Mann's Pretty Flamingo, of all things. For a band who formed 'only' 30-odd years ago, The Ramones must be almost unique in having three of their original four members playing in that great CBGBs in the sky [note: now all four]. Dee Dee was the second of the trio to go, as his drug abuse finally caught up with him in 2002, preceded by Joey (2001, lymphoma) and followed by Johnny (2004, cancer), just in case you were hoping for a great reconciliation at some point. Hop Around is an album for old punks who have everything the band ever recorded and want more. It's certainly no worse than several later Ramones albums (after his departure, Dee Dee carried on contributing songs up until the end of their career), and probably better than some, which isn't any great recommendation, to be honest. One passable 'Tron track, which really isn't quite enough to make it worth bothering, I suspect. Joey Ramone (US) see: Samples etc. Ramp (Germany) see: Samples etc. 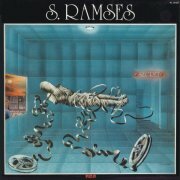 Ramses (not to be confused with UK outfit Rameses, of Glass Top Coffin fame) are one of those late-'70s German prog bands that seemed to spring up from nowhere as the scene shifted from the more avant-garde stuff popular earlier in the decade. 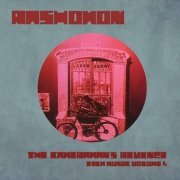 Like most of their contemporaries, Ramses are good without being anything spectacular; there's little genuine complexity in their music, with more emphasis on creating a mood than trying to be clever. La Leyla's a good example of this style, with better-than-average songs and some nice instrumental work. Winfried Langhorst's Mellotron use is the usual stuff; block chords on the strings and single-note flute lines, but some of it is surprisingly effective, particularly on opener Devil Inside. Don't expect to be blown away by La Leyla, but you'll get a pleasant, if slightly undemanding listen. 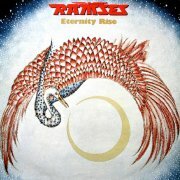 Eternity Rise is in a similar vein to Ramses' debut, but with the addition of a string section, making it difficult to work out just how much Mellotron has actually been used on the album. Only Yesterday is a definite (average strings), but Windy may be the string section, as is opener City Life. Just to confuse the issue, a string synth is utilised in places, too, although the closing title track has some immediately identifiable choirs. So, to summarise, two reasonably good albums, but La Leyla's the only one worth it for the Mellotron. 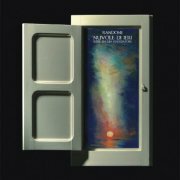 Serge "S. Ramses" Lafosse's one known album, 1978's Secret, is electronic music in the Klaus Schulze tradition, rather than the more common Tangs approach, dark and arrythmic, not a sequencer in sight. There's little to choose between its four tracks, although the closing fifteen-minute title track is possibly the most effective thing here. 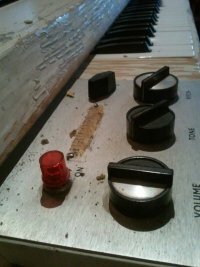 Mellotron: since 'Ramses' is the only person credited with anything ('all compositions', for what it's worth), we have to assume that he also plays everything, including the occasional Mellotron strings on the title track and what are possibly oboes and/or flutes on Deuce, although I'm less convinced by the latter. 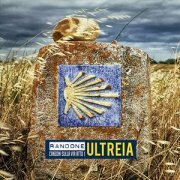 Incidentally, why is this quietly beautiful album available on nothing more official than download blogs? Lee Ranaldo & the Dust (US) see: Samples etc. Mike Randle (US) see: Samples etc. 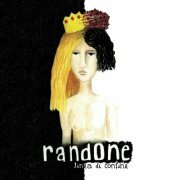 Sicilian Nicola Randone (born 1972) played in various bands throughout the '90s, forming Randone in the early 2000s, gaining patronage from Arti & Mestieri's Beppe Crovella in the process. 2003's Nuvole di Ieri is their second album, clearly in debt to the '70s Italian scene, albeit with a rather more contemporary approach to the guitar, which isn't always welcome. It's a concept effort - effectively one long track, Suite Da Un Viaggiatore - and while I've no real idea what the concept may be, at one point, we hear samples of (real?) radio announcements, including one in English saying, "Hitler is dead", which may or may not give us a clue. Musically, think: mostly major-key Italian '70s with modern, whammy-bar-led guitar work and you won't be too far off the mark, the band recreating that familiar, lush, Mellotron-heavy feel. Speaking of which, Crovella plays it on most tracks, principally string, flute and choir parts, plus brass on Il Risveglio. They followed up with 2004's ...Ricordo, not dissimilar to its predecessor, although this time round, they rather oddly chose to echo some of the '70s scene's cheesier aspects, alongside the symphonic. Once again, the album consists of one 'side-long' piece, Jill, with a series of relatively (or actually) short pieces on 'side two', where the band's more balladic side is allowed free reign, although I didn't personally find anything here cheesy enough to put me off hearing this again. Crovella guests on various electro-mechanical 'boards, including Mellotron, with various combinations of strings, cellos, flutes and choir on all six tracks, Il Grande Tesoro even opening with a solo flute part, making this one of the most Mellotron-heavy new(ish) releases I've heard in a while. 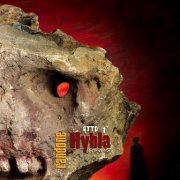 2005's Hybla Act 1: A Barock Opera is - guess what? - effectively another album-length track, better than its predecessor, due to a general lack of balladry. Alongside the expected symphonic proggery, we get some folky influences, not least the fiddle on several tracks, although the ubiquitous metal guitar (particularly bad example: La Fine Dei Chiaramonte) is becoming irritating; enough sweep-picking already, chaps. The extra length here (so to speak) makes the album a more challenging listen; even without understanding the lyrics, there's an awful lot going on here musically, making casual perusal a bit of a no-no. Loads of Crovella's Mellotron again, although something's stopping me from giving this the full five Ts; maybe because it's mostly a supporting instrument, rarely at the forefront? Dunno, but there's plenty of it, either way. It took the band four years to follow up with Linea di Confine, a seventy minute-plus monster that, once again, combines beautiful Italian progressive with a rather cheesy '70s aesthetic, slightly akin to that era's soft rock, now inexplicably dubbed 'guilty pleasures'. Hmmm. Anyway, despite being overlong (once again, I think there's some sort of concept being played out here), the album scrapes ***½, although ditching some of the more balladic material would improve it on two fronts. Plenty of Crovella's Mellotron to be heard, although the strings on some tracks sound like generic samples, with flutes, choirs and a speedy string part on S.I.B. (Prologo), more of the same on the other highlighted tracks, plus what sounds like brass on La Cella Degli Amori Estinti and is that a clicky sax part on Speranze? There's an absolute killer album lurking inside 2014's Ultreia, needing only a virtual pair of editing scissors. Harsh? Not deliberately, but its seventy decent minutes could be a coruscating fifty, achieved merely by trimming some dead wood, both whole tracks and extraneous parts in otherwise excellent material. Highlights? Possibly the skronkily balladic El Trovador Enamorado, La Iglesia De La Virgen Blanca and closer Santiago, although a reduction in what is technically known as 'metal guitar widdling' would make for more top tracks. Crovella adds Mellotron to every single track, more upfront use including the strings, choirs and upfront flutes all over the opening title track and the raucous cello stabs on El Trovador Enamorado, although it often ends up being used for naught but a brief choir part toward the end of a song, lowering the album's 'T' rating slightly. 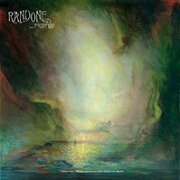 ...Ricordo is a fine album, despite its occasional lapses into Mediterranean balladry, with shedloads of (presumably real) Mellotron, while Linea di Confine is decent enough, if flawed, making Nuvole di Ieri and Hybla your best starting-points. Recommended. Randy & the Bloody Lovelies (US) see: Samples etc. Rap Allstars (Germany) see: Samples etc. 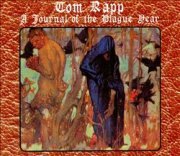 Tom Rapp was vocalist with legendary first-time-round psychsters Pearls Before Swine, retiring from music in the mid-'70s, only picking up the baton again in the late '90s, after being invited to perform again by The Bevis Frond's Nick Saloman. The only result (to date) of his renewed enthusiasm is 1999's A Journal of the Plague Year (named for Defoe's novel), a gentle, early Dylanesque record (just for the record, Rapp allegedly once came higher than Bob in a youth talent contest), highlights including The Swimmer (For Kurt Cobain), Space, Running In My Dream and the three-part Shoebox Symphony. Oh, and the highly amusing spoken-word 'hidden' track at the end, Drug Stories Of The Sixties, of course. Saloman plays Mellotron on Shoebox Symphony, with a scratchy, high-end cello part on (I presume) part two, State U, with a flute part later on, just before the brief third part, Just Let The Grass Grow, a campfire singalong (what were we saying about drug stories of the sixties?) All in all, a fine album, although Rapp's at his best when he sounds like himself, as against Dylan-lite. Nice Mellotron, too; shame there isn't more of it. Dizzee Rascal (UK) see: Samples etc. Rascal Reporters (US) see: Samples etc. 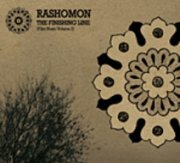 Rashomon is my brother Matt's solo project; essentially instrumental, although voices are used on occasion, 2007's The Ruined Map (Film Music Volume 1) isn't actually meant to sound like film music at all (although it still manages to in places). The tracks are all named for art-house films, with their accompanying pieces described as "companions to the psychic states invoked by the more bizarre outer reaches of narrative cinema", according to Matt's MySpace page. Despite being very different to Guapo, you can hear that the same compositional brain is involved, with his/their trademark dissonance cropping up on most tracks, although the musical palette is far broader, encompassing the weirder end of the progressive spectrum, avant-garde noise, Weimar Germany, various folk musics, insane metal and many other varieties of oddness. A track-by-track run-down probably isn't very constructive, but expect Slayer on acid (Branded To Kill), painful MiniMoog squeals (Confessions Of An Opium Eater) and very little drumming, although Paul Westwood (hi, Paul) plays on a few tracks. Matt's second solo effort, The Finishing Line (Film Music Volume 2), will probably be mostly listed as a 2010 release, although copies actually came off the press in December '09. He utilises a very different approach this time round, the entire album being inspired by just one film, the deeply disturbing The Finishing Line, a British 'public information'-style film from the '70s, designed to dissuade children from playing on railway lines. It illustrated the dangers so graphically that it had to be withdrawn, although I imagine any youngsters who encountered its horrors never went anywhere near the tracks (it worked for Matt), the price paid being their recurring nightmares for years to come. This immensely hard-hitting document makes for a fascinating period piece, a victim of its own success, ripe for rediscovery by fans of the weird. The album's four long tracks are about as ominous as you'd expect, given their inspiration, with The First Race featuring a series of languid, yet strangely threatening tremoloed guitar chords (reiterated on The Fourth Race), while the pulsing bassline conjures up the menace of the approaching train (and is the only part of the album that actually works as a soundtrack). The most disturbing track has to be The Third Race, largely consisting of the dissonance and squealing guitar that are a feature of Matt's work, perfectly illustrating the film's grotesque images of children playing tag across the tracks. Matt tells me that his intention was to revisit the horror he felt on seeing the film on holiday as a child (oddly, I have no memory of this event, although I would've been there. Perhaps I didn't watch it) and the bulk of the album was written from his fragmented memory of seeing it, not actually encountering the film again until the album was mostly recorded. Mellotronically speaking, the major parts are the strings and flutes on The Second Race, with more strings on The Fourth Race, plus high-end cellos and vibes on The First Race. Less obviously, Matt makes heavy use of my percussion set, with tubular bells, slowed-down gongs, timps and snare rolls all over the place, many of them mutated almost out of all recognition. I believe he actually 'sampled' them into ProTools then manipulated them as need be, but given that the technique barely differs from recording them onto quarter-inch then slowing them down or putting them through external effects, as he would have had to thirty years ago, it all counts. Matt's third album under this banner, 2011's Ashcan Copy (Film Music Volume 3), probably has more in common with his first release than his second, the theme this time round being that every film by which the pieces are inspired is either lost or unutterably obscure. Highlights include the guitar/synth duels on Jigora, the suitably Eastern European instrumentation on The Nightwatchman (a Czech film) and lengthy closer Pacemaker. Mellotron on half of the album, with strings and vibes on Double Kill, wobbly strings and flutes on Jigora, tubular bells and flutes on Rendezvous With Hell, choirs and shrieky strings (not to mention Taurus pedals) on The Door Has Two Sides and gongs, vibes and strings on Pacemaker. Infuriatingly, at the time of writing, this is only available on highly limited vinyl (as in 150 copies), although I'm hoping someone will pick it up for CD release at some point. 2014 brings us, at last, a genuine self-composed soundtrack, The Cameraman's Revenge (Film Music Vol.4), actually two, both for works by legendary Russian/Polish/French stop-motion filmmaker Władysław Starewicz/Ladislas Starevich, pairing Matt's music with the jaw-dropping short of the same name (1912) and the longer The Mascot (1934), only available on vinyl or on a simultaneous DVD reissue of the two films from Cineploit. Befitting the films' antiquity and geographical origin, there's much zither, jaw harp, harmonium and the like to be heard, giving a very Mitteleuropan feel to the proceedings, along, of course, with the usual instrumentation and influences. It's impossible to choose between the two pieces (The Mascot split into two on the LP) for sheer quality; suffice to say, they both not only evoke their respective celluloid subject matters, but work well as standalone pieces. The Mellotron's first appearance comes a few minutes into the title track, with a weary-sounding, strained string line, followed by brusque, offhand flutes, while The Mascot's use begins a couple of minutes into the vinyl version's second (and, of course, longer) part, with strident strings, more flute, string and choir parts following, often bordering dissonance. All in all, these are not albums for Marillion fans, although you'd probably guessed that already. Anyone who enjoys stepping outside the boundaries of 'conventional' progressive music (how did it ever become 'conventional', eh?) should seriously think about giving these a go. The Raspberries coalesced out of two rival Cleveland bands of the late '60s, singer Eric Carmen soon gaining dominance in the group. 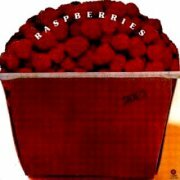 Much like Memphis' Big Star, though far more successfully, The Raspberries ignored the various directions in which rock and pop had gone over the previous few years, opting to play 'British invasion'-style melodic rock, heavily influenced by The Beatles, The Who etc. Maybe surprisingly, for a band out of time, they had a couple of major US hits, Go All The Way (from their eponymous debut) going to No.5, although in the UK, the BBC, in their infinite wisdom, banned it for its spurious lyrical content. Auntie Beeb, eh? Side 3 was, would'ja believe, their third album, chock full of the kind of material that helped to kickstart the powerpop revolution at the end of the decade, notably opener and minor hit Tonight. OK, these guys don't have the caché of Big Star, but melodically, they're every bit as strong. They're rated more now than at the end of the '70s, but why were they seen as second-rate compared to, say, Badfinger? Eric Carmen's subsequent career probably didn't help; his first solo hit was the mawkish All By Myself, the kind of song played obsessively by lonely young women in bedsitters (sexist clichés? Moi? ), while the rest of us vomit behind the sofa. None of which should, in an ideal world, subtract from The Raspberries' wondrous pre-powerpop creations. The rumours of Mellotron use on The Raspberries' fourth and last album, Starting Over (****), are greatly exaggerated, with nowt but real strings on a couple of tracks. I haven't heard their first two, but going by the quality of their later work, they're likely to be excellent, too. In fairness, Side 3 isn't an album you'll buy to hear some great Mellotron work, but if you have any interest in wonderful, melodic pop/rock and you don't already worship at their altar, buy these albums now.